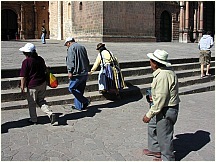 Free photos taken from walking the streets of Cusco, Peru. 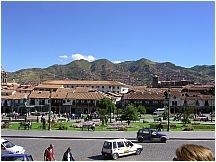 There are two other sets of Cusco pictures, one from the guided (with bus) city tour, and the other from the Sacred Valley. 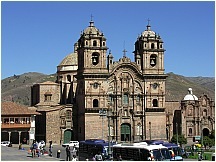 Photo of Cathedral in Cusco, Peru - the Capital City of the Inca Empire. 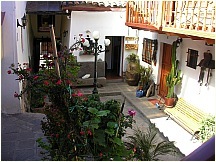 Photo of courtyard of Hostal Rumi Punku in Cusco (Cuzco), Peru - the Capital City of the Inca Empire. 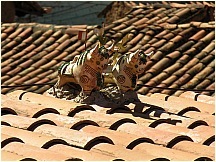 Photo of guardian bulls on rooftop in Cusco, Peru - the Capital City of the Inca Empire. 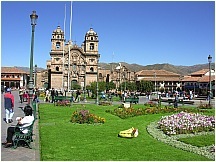 Photo of the Plaza de Armas in Cusco, Peru - the Capital City of the Inca Empire. 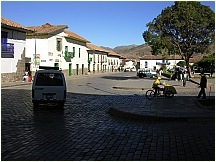 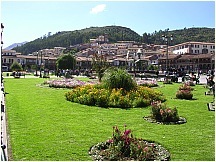 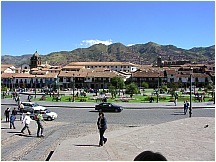 Photo of Plaza de Armas in Cusco, Peru - the Capital City of the Inca Empire. 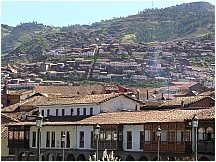 Photo of rooftops of Cusco, Peru - the Capital City of the Inca Empire. 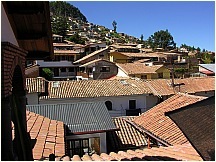 Photo of houses stretching up the hillside in Cusco, Peru - the Capital City of the Inca Empire. 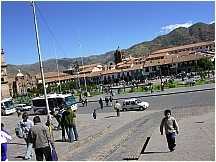 Photo of indigenous clothing in Cusco, Peru - the Capital City of the Inca Empire. 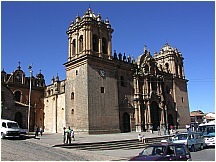 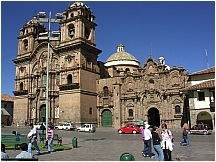 Photo of cathedral at the Plaza de Armas in Cusco, Peru - the Capital City of the Inca Empire. 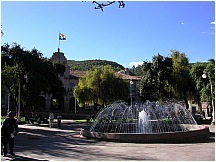 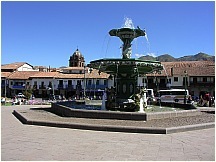 Photo of fountain at the Plaza de Armas in Cusco, Peru - the Capital City of the Inca Empire. 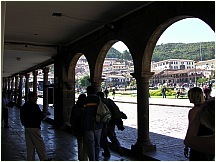 Photo of arches over store fronts at the Plaza de Armas in Cusco, Peru - the Capital City of the Inca Empire. 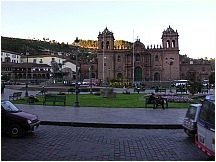 Photo of fountain at a plaza in Cusco, Peru - the Capital City of the Inca Empire. 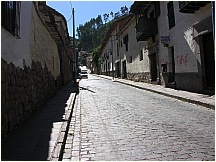 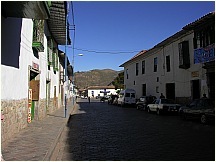 Photo of street in Cusco, Peru - the Capital City of the Inca Empire. 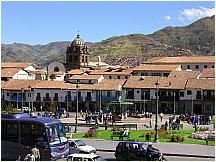 Photo of street of Cusco, Peru - the Capital City of the Inca Empire. 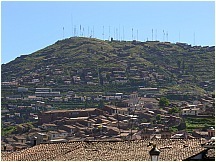 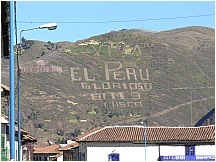 Photo of election signs on hillside Cusco, Peru - the Capital City of the Inca Empire. 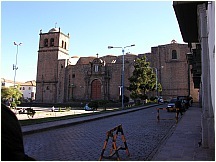 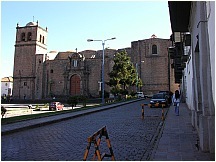 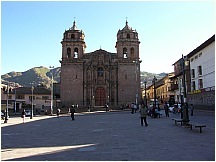 Photo of church and plaza in Cusco, Peru - the Capital City of the Inca Empire. 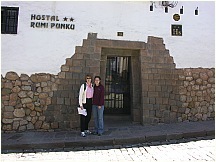 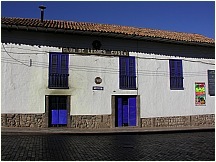 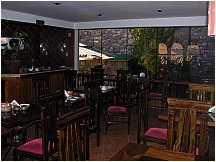 Photo of Lion's Club in Cusco, Peru - the Capital City of the Inca Empire. 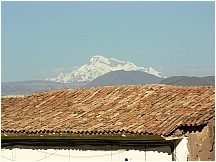 Photo of snow covered mountains near Cusco, Peru - the Capital City of the Inca Empire. 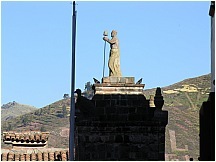 Photo of Statue on a church in Cusco, Peru - the Capital City of the Inca Empire. 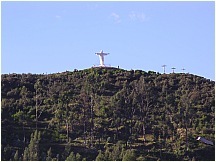 Photo of Christ on a hilltop over Cusco, Peru - the Capital City of the Inca Empire. 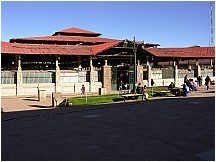 Photo of the market in Cusco, Peru - the Capital City of the Inca Empire. 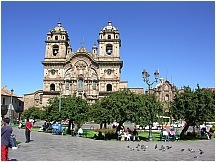 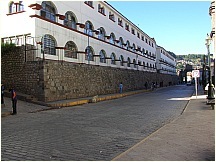 Photo of government building in Cusco, Peru - the Capital City of the Inca Empire. 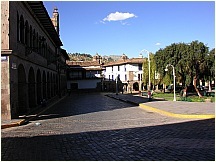 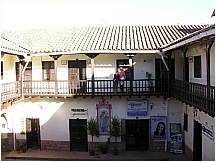 Photo of offices and shops in a building with courtyard Cusco, Peru - the Capital City of the Inca Empire. 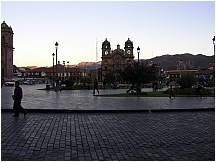 Photo of cathedral at the Plaza de Armas at sunset in Cusco, Peru - the Capital City of the Inca Empire.